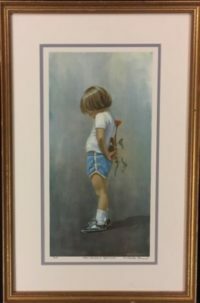 32″W x 27″H. 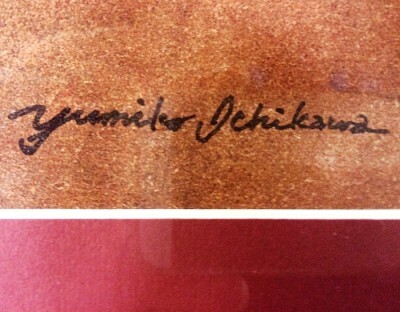 Signed in the plate by artist Yukimo Ichikawa. 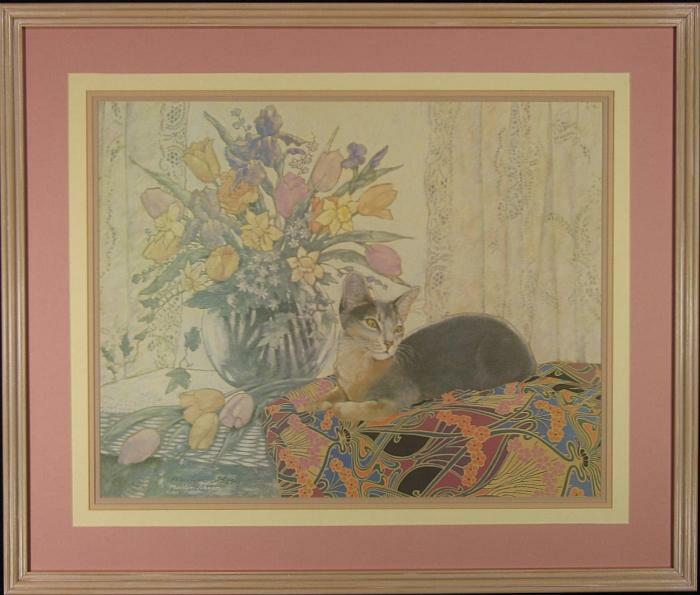 Gold wood frame. 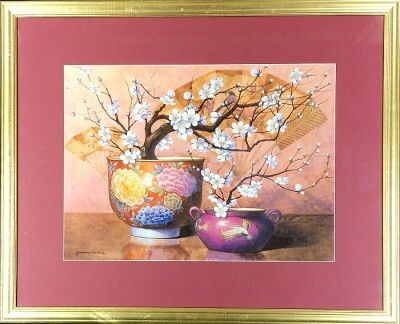 A large still life of sakura cherry blossoms and porcelain pots. 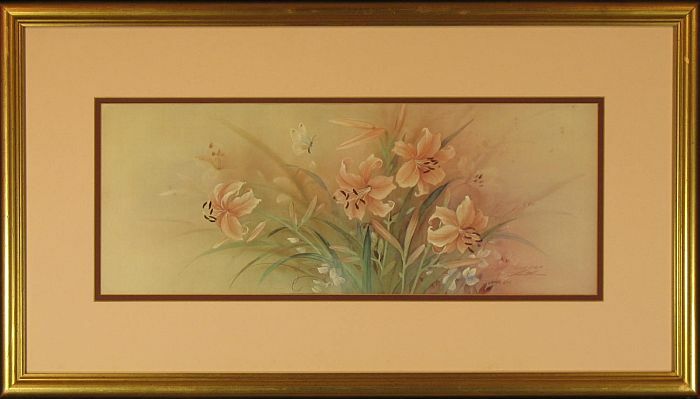 This is a perfect atmospheric piece for a large wall with a Japanese or floral theme. 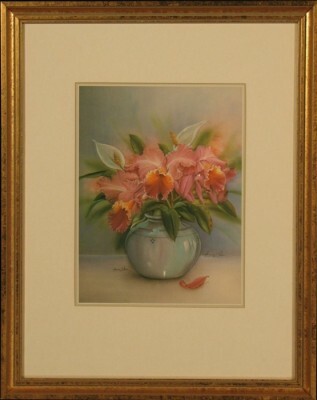 Very good condition throughout with refinished metallic gold wood frame, new backing paper, and hanging hardware.